Just like the messages you send to your prospects or the tools you use to measure representative performance, you don’t want your sales training strategies to get stale. Your new employees were chosen for their tech savviness, drive, creativity, and professionalism — so shouldn’t they receive the same back from you during their training? Not only can outdated sales training programs hurt your team’s performance, but they can also hurt entry-level employee morale. You want to approach your sales training with the same thoughtfulness, effort, and creativity that you ask your new SDRs to bring to the office every day. After all, what you show during those first few weeks and months will affect how your new employees see you thereafter — so are you going to be fresh, exciting, and interesting, or stale and boring? If you choose the former, here are three proven ideas (we tried, tested, and implemented them!) for shaking up your sales training regimen. It’s important that your SDRs come to you with the best mindset and tools for embodying your company values. On a practical level, this means they should know communication norms, the org chart, who they report to, who they should go to when they need help with X, and what resources are available to them for continued personal and professional growth. Additionally, you should give materials on paths to promotion, professional development, and company values. Show your new employee who your company is (now what, who) and how people can succeed within the organization. Sales organizations tend to have extremely high turnover (instigated by both employers and employees) and part of combatting this is demonstrating where an entry-level sales job can go. 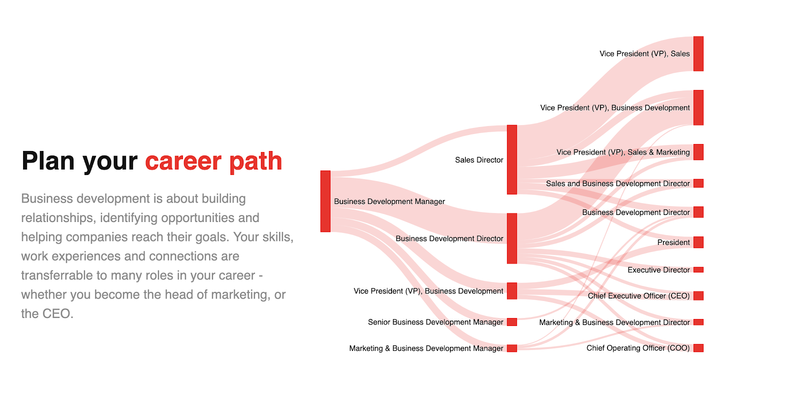 For instance, we give this visual to new BDRs to show them what a career path could look like, along with examples of people who have followed one of these paths. BDRs/SDRs and AEs need to work together as one unit. The faster their relationship forms, the faster the SDR can adapt their prospecting to the AE’s work and personality style. This means that doing shadowing, team bonding exercises, and personalized training from the get-go is a must. Additionally, you should assign each new SDR a senior executive or manager as a mentor. This not only helps new hires form an idea of how their career could progress, but also helps performance through 1:1 success coaching. 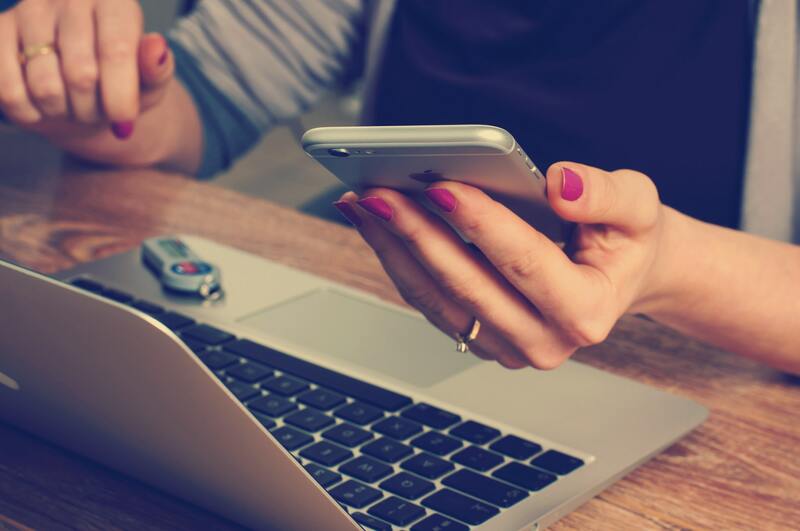 In our experience, it’s best to set up bi-weekly mentoring sessions for the first year post-hire. At the end of the day, your new SDR’s workplace happiness will in large part depend on the relationships they form. Help them bond with their coworkers — on a professional and personal level — at the very beginning by emphasizing personalized mentoring and coaching. It’s one thing to just tell SDRs who the customer is. But the real magic of onboarding happens when SDR reps truly understand and empathize with the customer’s pain points, incentives, goals. To get SDRs to this point, you should allow SDRs time to brainstorm, do research and come up with their own conclusions. Have them present who they believe the ideal customer is, and what the traits of this profile are. Through this exercise, your SDRs are more likely to empathize with the persona, understand their drivers, and thus feel relaxed and confident when speaking to prospects from the start. The sales training that your new employees receive will inform their performance more than any other factor. Because of this, it’s crucial to set them up for long-term success, not just through short-term training, but also through coaching and mentorship. We know this is true because we’ve been devoted to training entry-level sales representatives for years. Our sales training program graduates are 2.2x as likely to hit the one year mark in a job, and are rigorously vetted and trained: one in four SV Academy graduates who are screened ends up with a full time offer, as compared to 1 in 13 as an industry average. The power of comprehensive, hands-on training cannot be underestimated. To learn more about how SV Academy can help you get access to trained and vetted SDRs, reach out to hire@sv.academy.